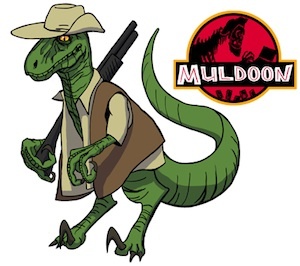 Hello ladies and gentlemen, Muldoon here in the midst of SXSW. While I’ve fortunately caught a number of great films, a few days in and I’m still consistently surprised with movies I’d never heard of, covering topics and people I’ve not yet been introduced to. One of the films that’s opened my eyes to something incredible is Ryan Steven Green’s THE HOLLYWOOD SHORTIES. The film beautifully covers the rise and fall of a group of incredible individuals, a number of Hollywood’s Little People, folks who came together to do something bigger than themselves, to play sports, entertain, and ultimately put smiles on the faces of anyone who had the pleasure of seeing them. 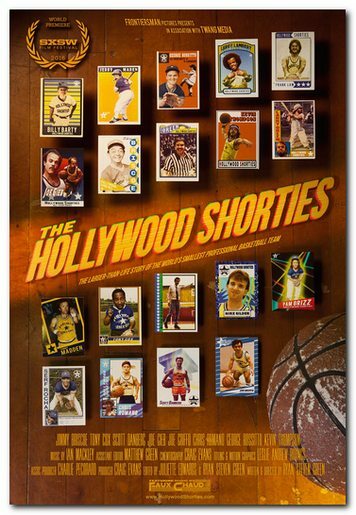 As someone who lives nowhere near Hollywood, and simply wasn’t around in the 1980’s, I had no idea The Hollywood Shorties existed, but am more than glad I've now been introduced to their history. The film features a sense of community for a small percentage of individuals who simply wanted to get together, share their experiences, their frustrations, and ultimately just wanted to escape the reality of their lives as Little People. Through a heavy amount of archival footage and interviews with the key players, THE HOLLYWOOD SHORTIES paints a picture that’s inspiring, funny, and informative – all while not feeling forced. Through interesting graphics, a solid score, and a wide assortment of clips from numerous films, the movie pulls you in and introduces you to the personalities behind a team that performed numerous events that peaked in the 80’s. While acting wasn’t a prerequisite to join the team, there are an incredible number of famous Little People actors, with real-talk interviews with folks like Tony Cox and Martin Klebba, amongst many others. Ego, humility, and drama fill the 85 minute runtime perfectly. At its core, there’s a genuine sincerity throughout the film as many people reflect upon the glory days, when the team was led by George Rossitto. I’ll admit, when I see a movie I don’t necessarily want to think of that actor's personal life unless it’s on display, since I just don’t want to be taken out of the story. This film, provided it’s a doc, shines some light on some rather impressive folks and what they truly care about in life, and surprisingly it’s not all about acting or fame, but about acceptance and doing what you love, while not being preachy. The Hollywood Shorties - OFFICIAL MOTION PICTURE TRAILER from Ryan Steven Green on Vimeo. If you’re at all interested in seeing something different, this film is for you. I mean, holy hell… there are numerous clips of Tony Cox hitting three pointers, even making baskets from half court. I can barely wrap my head around those images, but that’s the beauty of the whole thing… Personal reflection here, but the film smacked me in the back of the head with “Well, why is it so difficult to imagine someone like Tony Cox making those baskets?” It beautifully displays how to properly handle playing the cards you're dealt to the best of your abilities, but isn’t told in any sort of fake sympathetic way. It’s not set up to necessarily change your views like I might have it suggest, just provide a slice of life in individuals that Hollywood has marginalized. It tells a story I've not yet heard or seen. There’s film history, genuinely legendary actors popping up with their thoughts, an education featuring things like the DAAA (Dwarf Athletic Association of America), and more here. The amount of content Greens was able to showcase here is mind blowing as even now just popping around Google, there’s not much information on the team. Without a doubt, THE HOLLYWOOD SHORTIES was one of my favorite films I’ve seen thus far at SXSW (as you can probably tell…), and while I’m not sure exactly when it comes out, I definitely suggest you ladies and gents seek it out. Consider me a fan.